ROAD TOWN, Tortola, VI- His Excellency the Governor, after considering the advice of the Judicial and Legal Services Commission, has approved the contractual appointment of Mr. Baba Aziz to the post of Attorney General, Attorney General's Chambers effective February 10, for a period of three years. Mr. Aziz has over 25 years of legal experience in the Commonwealth of Africa, particularly Ghana and Gambia and the Eastern Caribbean Supreme Court. Over 10 of those years were served in the Attorney General’s Chambers of the Virgin Islands where he served as Acting Attorney General from June 2010 to December 2011. He initially joined the Attorney General’s Chambers in June 2001 as a Senior Crown Counsel and was subsequently promoted to the post of Principal Crown Counsel in 2007. He also acted as Solicitor General. Mr. Aziz holds a Master of Laws (LLM) degree from The American University in Washington, D.C., a professional certificate of law from the Ghana School of Law and a Bachelor of Laws (LLB) degree from the University of Ghana. Additionally, he holds a certificate in International Human Rights Laws from Hague Academy of International Laws and the Netherlands Institute of Human Rights. His other work experience includes Research Counsel /Private Legal Practitioner at Basangsang Law Chambers, The Gambia, West Africa and Legal Counsel of Assets Management & Recovery Corporation in Gambia. 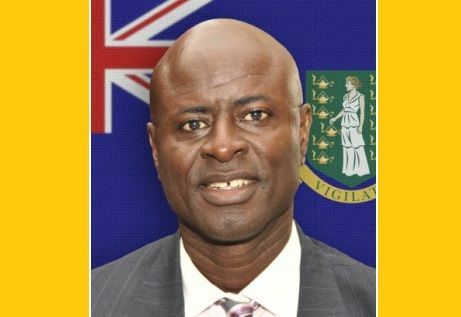 As Attorney General, Mr. Aziz will serve as the chief legal advisor to the Government as established by the Virgin Islands Constitution Order, 2007. He will also serve in an advisory role as a member of Cabinet, the National Security Council, the House of Assembly and the prerogative of Mercy Committee. He will also be responsible for managing the administration and activities of the Attorney General’s Chambers. Mr. Baba Aziz succeeds Dr. Christopher Malcolm who was appointed Attorney General from January 2012 to December 2014. So let me see if i get this straight! Is there some law something in the constitution some where that says no and I mean none, nada, no BVI Nationals is allowed to hold high offices like AG, DPP etc... No BVI National is allowed in the Justice System! Because I think this is the straw that broke the Camel's back. They talk about saving money and being broke and not giving civil servants their increments because there is no money and you bring in another person, Give Housing and Vehicle and bring their family in etc... instead of hiring a well qualified national. I mean seriously! Who is this Judicial and Legal Services Comission? Are they BVI Nationals? Is there such thing as National Pride to see our people excel? Who the Hell took it? If our leaders, past, current or future can't show any back bone and stand up for our people then none of them, NONE OF THEM DESERVE TO BE IN OFFICE. WHAT A SHAME. Well, the BVI was saved by the bell. We should thank our heavens that someone had the spine to say, "enough is enough." Wow this is so crazy!! I am not reading this correctly am I dreaming?? This has to be a dream, someone please pinch me so I can wake up from this nightmare!! Now the Govt. will go on to win some cases. The Doctor prescribed enough wrong injections, nearly killed the poor Government. Thank God he gone buddy, do welcome the new AGee.